Our team of stylists, estheticians, and massage therapists bring varied talents and passions to the salon floor, but they all have one thing in common: your satisfaction. Nicole is an owner and master stylist with 14 years of experience in the hair industry. Nicole is extremely passionate about learning new trends and techniques. She's traveled to LA, Dallas, and New York for education. She specializes in blondes, extensions, subtle balayage and haircuts. She is certified in great lengths and hot heads hair extensions. She believes the health and condition of your hair should be your main priority when it comes to any hair service. As the eldest of five girls, Jayde always had a head of hair to braid or curl, and it seemed natural for her to find her career in beauty. She specializes in all things hair related and loves creating a customized color or cut to enhance her clients’ personal style. Jayde knows that in ever-changing world of style trends, continuing education is of utmost importance. Her passion for education has allowed her the privilege of being a Davines Color and Styling Educator, as well as assisting several internationally acclaimed hairstylists. When she's not in the salon she enjoys traveling, running, spending time with friends and family, or snuggling with her two dogs, Rainier and Gypsy, or her cat, Louise (but only when she allows it). Amy is a master stylist with eight years of experience and has trained as a Davines educator. Although haircutting is her passion, she loves using hair color to create a customized look for each client. She is a certified Brazilian Blowout stylist. Kristen is a licensed esthetician who specializes in full body waxing and facials. She received her esthetics license in 2008 and believes continuing education is essential in the beauty industry. She has attended several advanced training courses including massage techniques, product knowledge, makeup collection, and advanced skin care classes. She loves pampering her guests and giving them the results they are after. A meticulous waxer, Kristen specializes in hard and soft waxing techniques and ensures you are comfortable and satisfied with every experience. After every facial, guests leave glowing, with ample knowledge about choosing a customized skin care regime. Richard has studied massage and bodywork for over 40 years. His full-time practice began in 2004 when he accepted an early retirement from American Airlines. His wife, Ruth, and him have been married for 35 years. They have one married son, Zak. Zak and his wife Anna have a one year old daughter, Esther, and they live in Kansas City. Richard’s early interest in alternative health care stemmed from experiences in the Philippines, China, Vietnam, and Hawaii. He served in the U.S. Navy from 1967-1971. Richard knows that stress is common in everyone’s life, and wants to alleviate that stress with massage therapy. 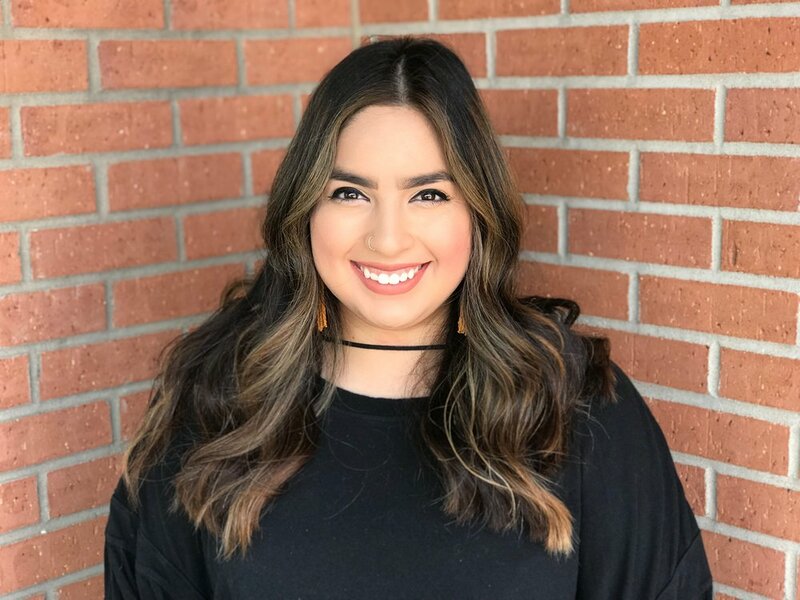 Ashley started working with Pure in 2018 and can be found on evenings and weekends as the salon’s receptionist. Outside of the salon environment, Ashley is a student attending at the University of Arkansas, and a dog mom to Pepper and Koda. Ashley looks forward to greeting you with a smile and a mimosa. Coming soon! This is a placeholder paragraph for Annie’s bio. Coming soon! This is a placeholder paragraph for Annie’s bio. Coming soon! This is a placeholder paragraph for Annie’s bio. Coming soon! This is a placeholder paragraph for Annie’s bio. Coming soon! This is a placeholder paragraph for Annie’s bio. Lexy has been with Pure for four years. She started as a receptionist and fell in love with the beauty industry. She is a salon manager, makeup artist and licensed cosmetic tattoo artist - specializing in bridal makeup and permanent cosmetics. She offers services such as - permanent eyeliner, lash enhancements, hair stroke brows, makeup lessons and more. Lexy is an absolute product junkie and loves educating her clients on new and upcoming product releases. Whether it's skincare, makeup or a hair tool - she can recommend it for you. Brittney loves all things hair. At a young age she realized that this was the industry in which she wanted to pursue a career. One of her favorite things about this job is getting to be creative, crafting custom looks and colors for guests when they come into the salon. Since hair trends are always changing, Brittney’s job never gets old, and keeping up with her education is something she is passionate about. Brittney’s guests know that when they sit in her chair, they're in good hands. Alicia has 15 years of experience in the beauty industry. She is a color specialist, makeup artist, and an expert in hair cutting and styling, hair extensions, and Brazilian blow outs. Continuing education is very important to Alicia. She keeps up with the latest trends. She can give you bold, runway-ready looks or help you perfect the most complimentary daily hair and makeup style. Dedicated to pampering her guests, Alicia is attentive and spends her time listening to guests’ needs and expectations. She will also makes sure you know how to recreate the look at home. When she isn’t working she enjoys spending time with her kids, friends and family. Sara has had a passion for the hair and beauty industry since she was a child. After graduating from Paul Mitchell cosmetology school in 2011, she perfected her skills as an apprentice and trained under master stylists. She specializes in dimensional blondes and enjoys furthering her educating with classes to keep up on the latest trends and techniques. Sara loves creating personalized looks that not only suit each individual client, but also create something they can replicate at home. Lesli has been with Pure since 2016. Two things that are most rewarding to her in the Industry are making people look and feel great about themselves, and always learning and continuing her education. She enjoys a good challenge whether it's a great haircut or a fabulous hair color makeover. She has a passion for short hairstyles and hand-painted lightening, but also loves foil work and long layers! In addition, she is certified in tape-in hair extensions.